Kieren was about 7 years old when he saw Raiders of the Lost Ark - still one of his favourite movies - and wanted to be an actor ever since. His family - parents Sue and Steve, older brother Daimen and younger brother Jamie - moved north from Auckland to Whangarei when Kieren was 14 and he started getting into community theatre while he was there. Between 1989 and 1993 Kieren did three seasons of the Northland Youth Theatre and a season of the Hawkes Bay Youth Drama School in between in 1992. After finishing school he auditioned for the local soap Shortland Street and got the part of Jonathon McKenna - much to his surprise! In an interview Kieren said later, that he thought he did a shocking audition. So Kieren moved back to Auckland at the age of 18 to do six months on the show and he returned three more times over the next few years, ending in 1996. In his time off Shortland Street Kieren got guest parts on Riding High as Steven Brighton and in one of the first season episodes of Xena Warrior Princess as Talus. In 1996 Kieren auditioned for the Cloud 9 series The Adventures of Swiss Family Robinson and moved to Wellington for the second half of that year to do that. Six weeks of the filming were spent on Fiji - which according to Kieren made for an awesome experience. He says, he had great fun there, getting to meet Richard Thomas (who played Kieren's TV father David Robinson) and his family whom he is still good friends with. Immediately, following the end of The Adventures of Swiss Family Robinson in 1997, Kieren was cast as the lead in The Legend of William Tell, also for Cloud 9. Tell allowed Kieren to live out a lot of his childhood fantasies, he says, pretending he was Michael Praed out of the English show Robin of Sherwood from 1984 that Kieren remembers fondly from his childhood. Tell was his favourite job so far. In 1998 Kieren then took a few months off before filming three episodes of Young Hercules as Orpheus. After that he went backpacking around Europe for six months over Christmas. Kieren, being a history buff, had been looking forward to that trip for a long time and he loved every minute of it. 1999 was not such a good year for Kieren. Sadly his father died of cancer at age 45 in April. Kieren did not work that year. In November he went back to London with his brother Daimen to see in the new millennium. In January 2000 Kieren moved to Los Angeles spending time there to establish some acting contacts. When he returned to New Zealand in May he got a guest part in the new Pacific Renaissance show Cleopatra 2525 as Johnny. In July Kieren then started to work on his first feature film, a thriller titled No One Can Hear You, as Robert Player.The movie features Kelly McGillis and Barry Corbin and was filmed in New Zealand. In his free time Kieren likes playing squash and also enjoys drawing cartoons. He made a cartoon to the episode The Challenge of The Legend of William Tell which was considered to promote a possible second seaons of the show that was never made. Early in 2001 Kieren again spent some time in Los Angeles auditioning and then moved to Sydney, Australia. Sunday, August 10, 2003, was a big day for Kieren - he got married to American actress Nicole Tubiola. In mid February 2004 Kieren filmed a guest-spot on the popular tv series Charmed, playing Mitch in the sixth season episode Spin City. 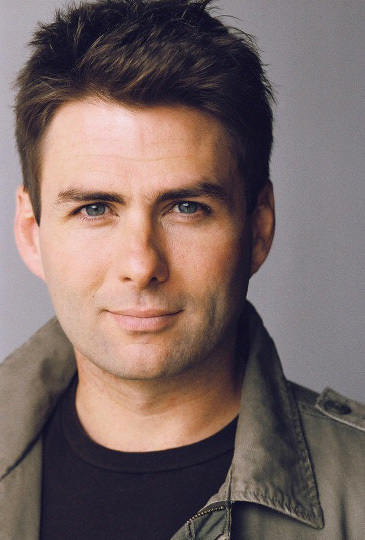 Kieren moved for a time to Wilmington, North Carolina in September 2004, to guest star in season two of the popular WB show One Tree Hill as professor Andy Hargrove, appearing in a total of 17 (of 22) episodes. In October 2005 Kieren began working on the ABC Family series Wildfire that is filmed in New Mexico. He guest stars in 10 (of 13) episodes of the second season as recurring character Kerry Connelly, a sports agent who is interested in representing the lead character, Kris Furillo (Genevieve Cortese). Kieren's wife Nicole Tubiola played Dani Davis, one of the regular characters on the show. In July 2006 Kieren returned to the set of Wildfire to reprise his role as Kerry Connelly for the premiere episode of the third season. From August 2006 Kieren was filming in Australia for four months, starring as Jake Preston in the original Lifetime series Monarch Cove which premiered in November. On September 5, 2007 Kieren and Nicole celebrated the birth of their first child, a son. Quinn entered the world at 7lbs and 4oz. In mid October 2007 Kieren was filming the movie Polar Opposites [aka Ground Zero: The Deadly Shift], co-starring as Dr. Joe Bradford alongside Tracy Nelson and Charles Shaughnessy. Kieren returned to Wilmington, N.C., and One Tree Hill in December 2007 to reprise his role as Andy Hargrove for Hundred, the 100th episode of the show, which premiered March 18, 2008 on the CW Network. In March 2008 Kieren came back again to the set of One Tree Hill to film the 101st episode of the show, titled Echoes, Silence, Patience & Grace; which premiered April 14, 2008 on the CW Network. Kieren appeared as the first guest in Tyler Hilton's new web show Cooking with Tyler, which was published online on September 29. In November 2008 Kieren was cast as Stephen Banks, the male lead in the romantic comedy Flower Girl, a TV movie for the Hallmark Channel, which also stars Marla Sokoloff, Marion Ross and Rick Scarry. Flower Girl was filmed in Los Angeles and aired on the Hallmark Channel a year later, November 14, 2009. In late January 2009 Kieren guest-starred as Jack Pimsler in the popular mystery series Ghost Whisperer, in the fourth season episode Thrilled to Death, premiering on CBS on April 10, 2009. Kieren filmed a guest part in the popular crime-drama CSI:NY in February 2010. He plays the role of Finnegan in the 17th episode of the 6th season titled Pot of Gold, which first aired on CBS on March 10, 2010. Early August Kieren was filming a guest-part on the crime drama Castle, appearing as Cody Donnelly in a scene with the stars of the show, Nathan Fillion and Stana Katic, in the episode 3.02 He's Dead, She's Dead which premiered on ABC September 27, 2010. Kieren returned to his native New Zealand in March 2011 to reprise his role as Jonathon McKenna in the popular Kiwi soap Shortland Street for six months. In November 2012 Kieren filmed a guest-part in the drama GRIMM. The episode 2.15 The Sandman first aired on 22 March 2012 on NBC. Kieren returned to work for the US Hallmark channel in December 2013. He stars as Bob Lewis, a rich lawyer, in the movie Perfect On Paper, which also stars Morgan Fairchild, Drew Fuller and Lindsay Hartley.The movie aired in the USA in June 2014 on Pixl and in September 2014 on the Hallmark Channel. In March 2017 Kieren played the owner of a hip nightclub in Ryan Hansen Solves Crimes on Television, a half hour buddy-cop pilot for the American YouTube Red subscription channel, starring Ryan Hansen, Samira Wiley and Eric Christian Olsen. It was released on 25 October 2017.